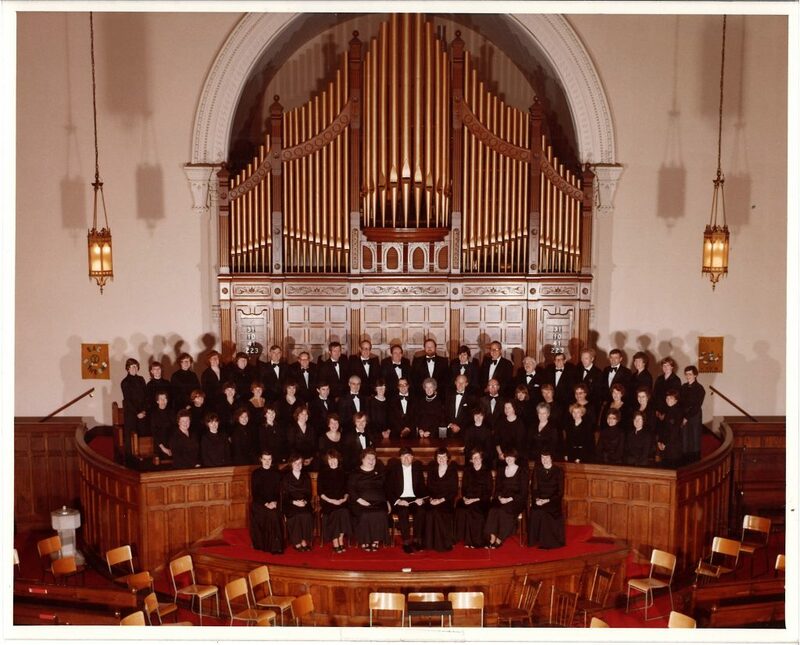 The St. Catharines Symphony Chorus was founded in 1962 by Leonard Pearlman. Introduced at a chamber concert in 1963, the chorus was formed so the orchestra could perform works that included choral parts. At the time, there were only about 30 members. Milton Barnes took over leadership when he was appointed conductor of the orchestra in 1964. There wasn’t much growth in the size of the chorus until Leonard Atherton became music director of both the chorus and orchestra. He had had previous choral experience, and membership developed under his leadership. The chorus made great strides and a good standard of music was performed, with the symphony and in stand-alone choral concerts. 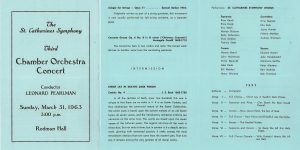 Roberto de Clara was appointed conductor of the chorus in 1981, followed by Ian Grundy in 1983. 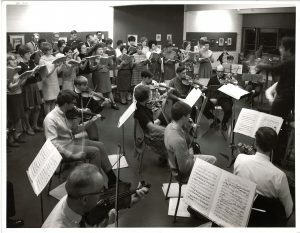 During the 1980’s, the chorus began to perform their own series of concerts, as well as ones with the orchestra. Robert Cooper was a guest conductor of the chorus before Ermanno Florio and the board made the decision to hire him. Under his direction, the chorus really began to grow and he raised the musical standard even further. The chorus had its own committee, and in 1997, decided to become an independent organization. At this time they changed their name from the Niagara Symphony Chorus to Chorus Niagara. Robert Cooper remains as their director today. 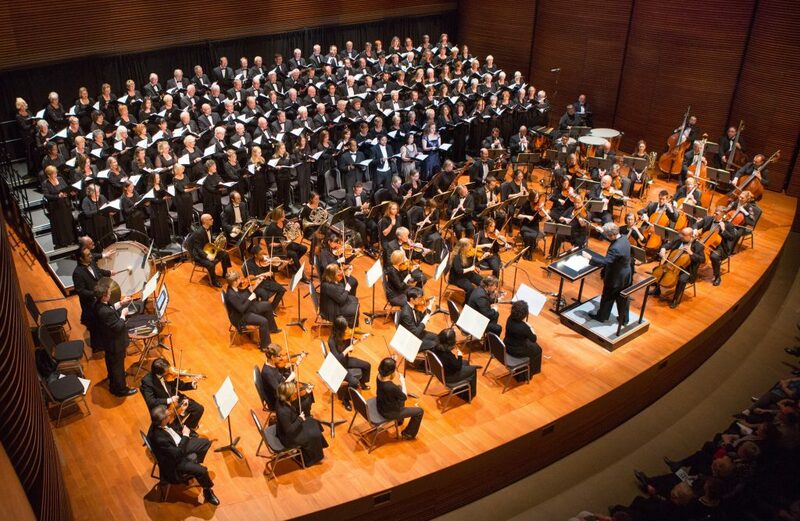 The Chorus now performs 4 concerts a year on subscription, plus additional events. They have performed with the Niagara Symphony, the Hamilton Philharmonic, and other choirs. Recent events include celebrating the 50th anniversary in 2012 and Robert Cooper’s 25th anniversary with the chorus in 2014. Chorus Niagara performed at the opening of the FirstOntario Performing Arts Centre in November, 2015. Chorus Niagara now performs their series concerts in Partridge Hall at the FirstOntario Performing Arts Centre. They have consistently sold-out shows at this venue. Thank you to Jo Henderson for providing the information about Chorus Niagara. Thank you to Paul Price for assisting with photos.